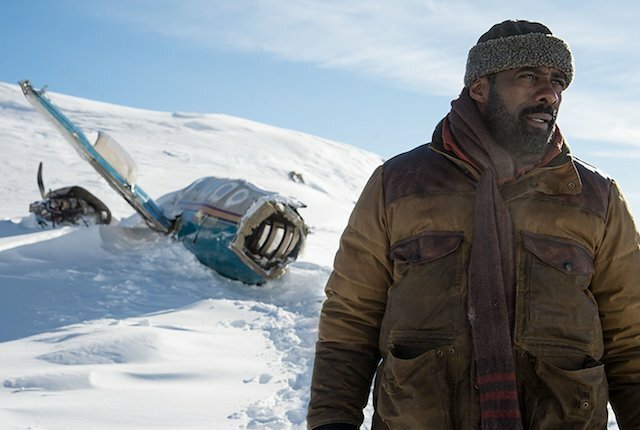 While the trailer for The Mountain Between Us makes the film look like a straight-up survival story, that’s not exactly correct. The frigid landscape of endless snowy mountains is certainly a terrible place to have to fight to stay alive — but what if that icy, near-death struggle was really about what happens to the human heart when it gets frozen out of love? Stuck in Idaho as a giant storm moves in, Alex (Kate Winslet) is panicked about getting back to New York because her wedding is the very next day. If it sounds like she’s cutting it close, she is. Alex, a war photographer, is impulsive and rash, living by the skin of her teeth. She’s the ultimate adrenaline junkie and gets her thrills from taking risks. Ben (Idris Elba) is a neurosurgeon who’s scheduled to perform brain surgery the next day on a 10-year-old child and isn’t happy about the storm that’s unexpectedly grounded all commercial flights. Ben likes to be in control in an extreme way, which is why he gets his thrills from cutting into children’s brains. His entire identity is built on his ability to save people. Alex, who doesn’t know Ben but perhaps likes his cultured good looks, suggests the two charter a small plane to get them back to New York. Sounds like a great plan — until the pilot (Beau Bridges) has a stroke mid-flight. The plane goes down in the snow-covered mountains, stranding Alex, Ben and the pilot’s dog in the freezing cold. Suddenly, two complete strangers must work together if they want to live. 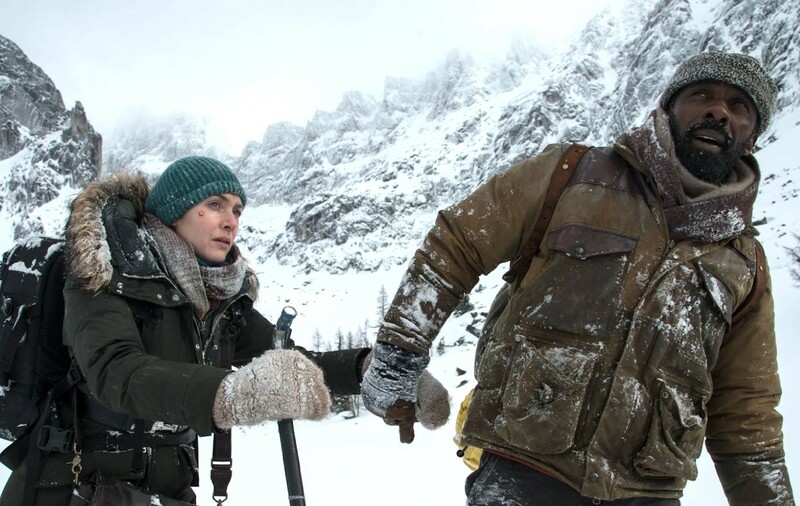 The Mountain Between Us isn’t exactly a straightforward adventure/survival film. Yes, they’re injured, and yes, they must figure out how to survive the harsh elements and find food, but the story is about more than finding ways to stay warm. The frozen, isolated mountain becomes a metaphor for Alex and Ben’s own personal issues. When we learn how much psychological baggage each character brings to the mountain, it becomes clear that their emotional survival is just as important as their physical survival. Unlike Titanic, the film isn’t a traditional romance. Alex and Ben’s meet-cute is a plane crash, after all, and they mix like oil and water on the mountainside. They argue over arguing. Eventually, we learn that Ben couldn’t save his own wife when she got sick two years ago, forcing him to question his entire existence. He’s in a major funk and can’t get out of it. And we learn that Alex lives by the seat of her pants, and her impending marriage is probably doomed because she doesn’t know how to put anyone else’s needs before her own. 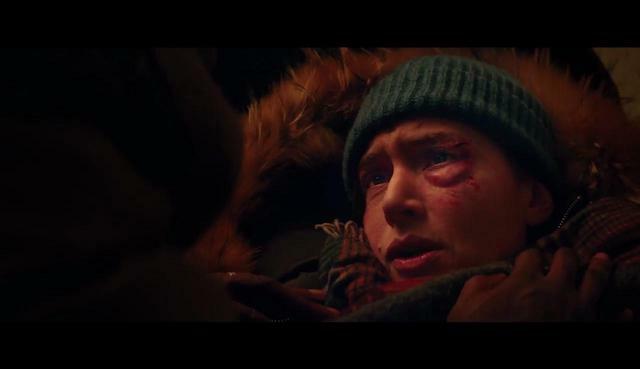 The exciting part of the movie is watching how each character learns to submit to the actual wilderness around them and realize they are powerless over it. They come to terms with the fact that they may die. It’s only from this place of vulnerability that either of their hearts can heal. Each character must give up some belief in order for them to move on and allow their hearts to heal. At one point, Ben remarks that the human heart is simply a muscle and it’s the brain that’s really important. Alex, through her own emotional growth, is the catalyst to prove that he’s wrong. The heart is the key to survival. Winslet is fantastic playing this unconventional woman who’s fearless in the war zone but unable to sit still for five minutes, even with a broken leg. As Ben, Elba wears just enough emotional pain on his sleeve to make him mysterious without being obvious or a jerk. Overall, the movie is a fresh way of looking at the human condition and picking apart all the ways people put a freeze on their own emotional happiness. The Mountain Between Us opened in theaters Friday.